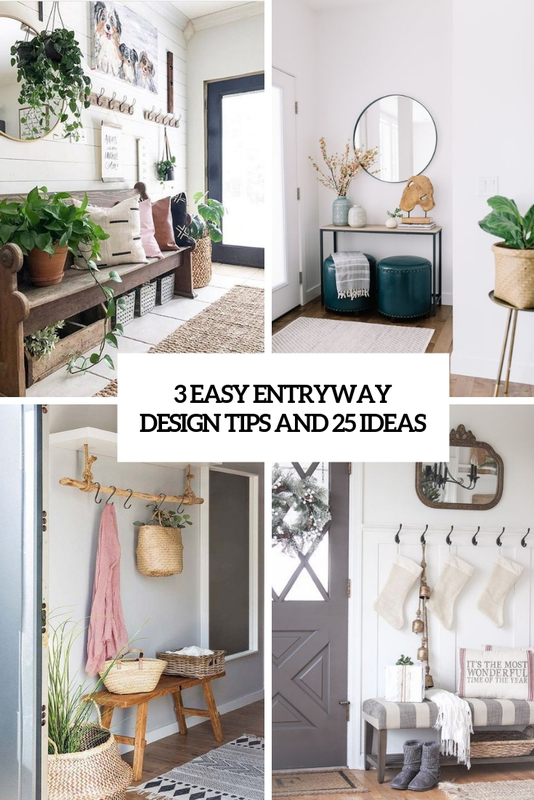 We’ve shared lots of ideas to decorate an entryway in different styles but we have never talked about what should be there, in your entryway. 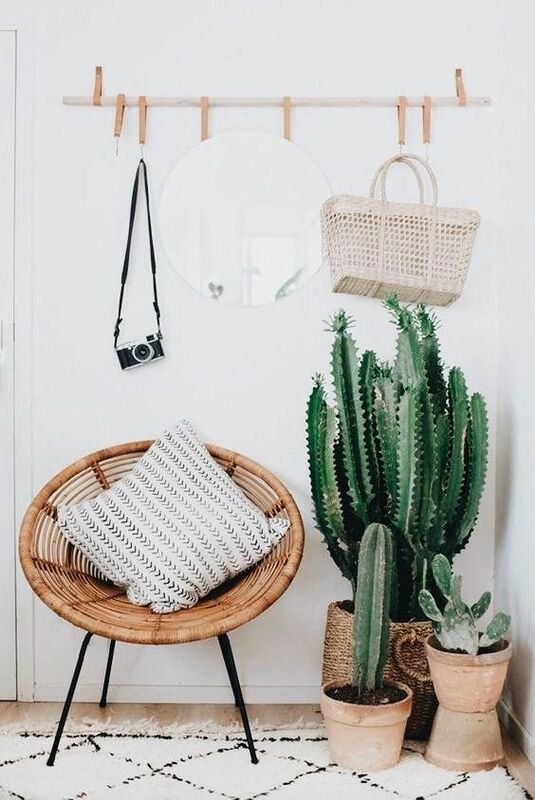 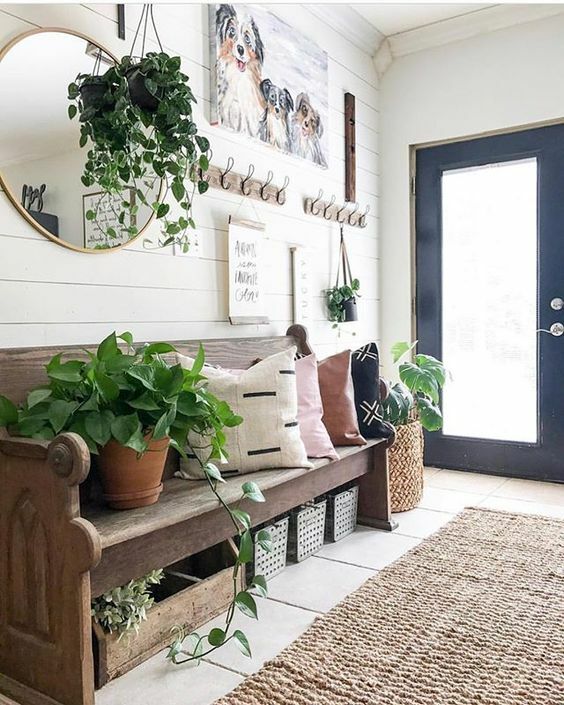 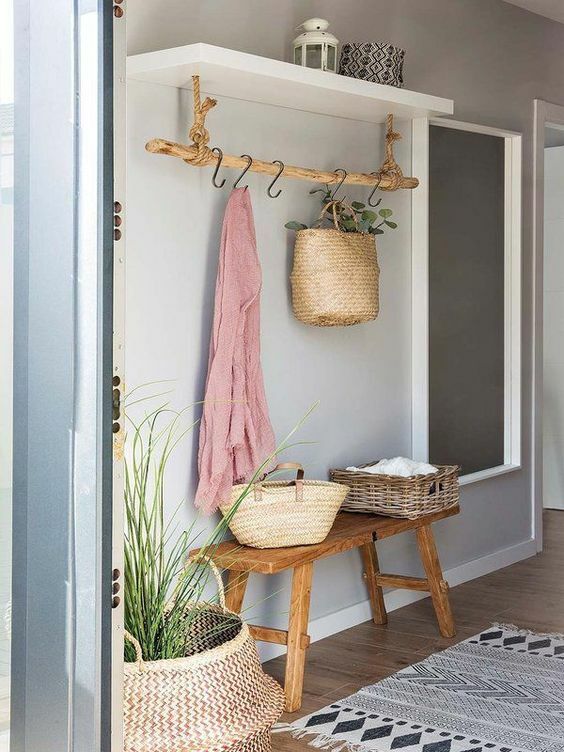 We suddenly understood that if you are a person with your first home – rented or bought, you may puzzle over what to buy or make for your entryway for a cool look and full functionality. 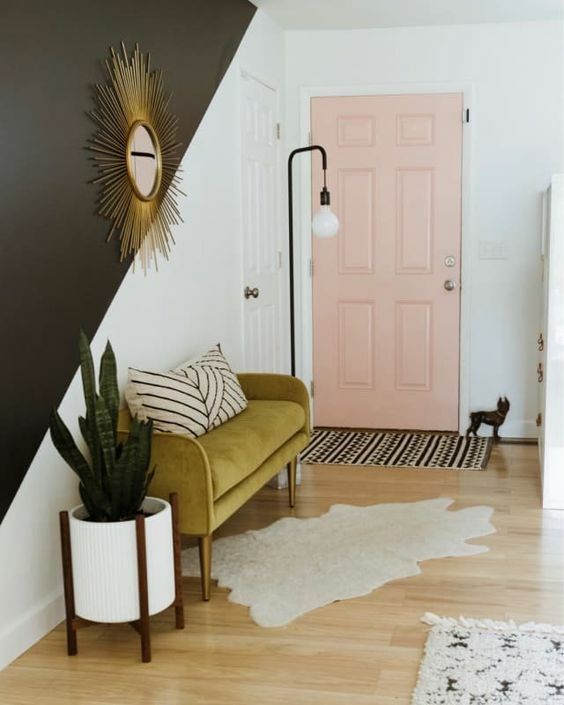 Here are some easy design tips that will help! 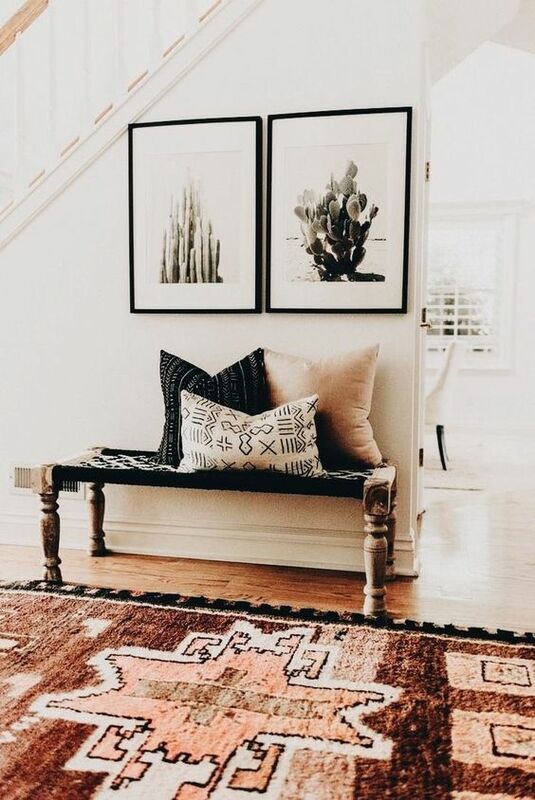 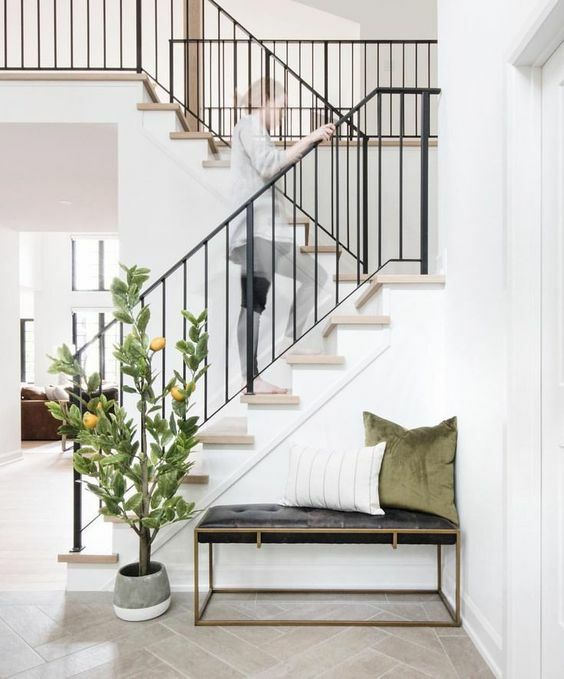 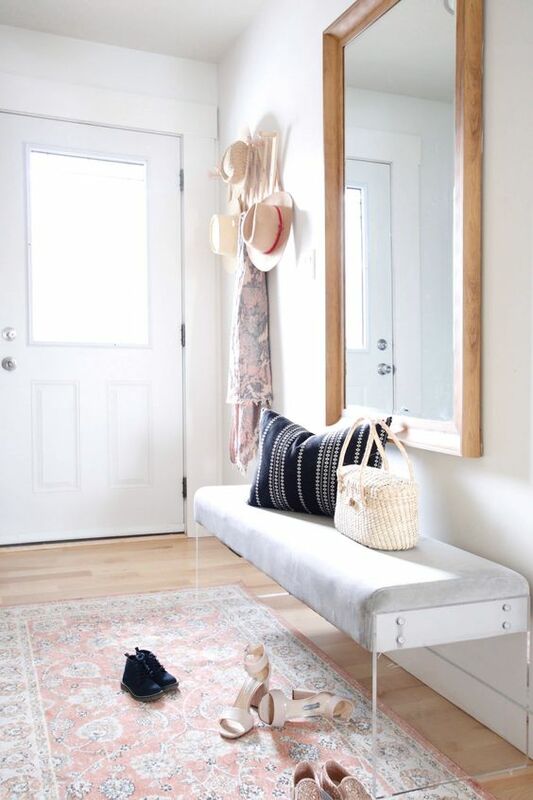 Many entryways are missing a place to sit, though such a space is very convenient to slip on shoes and doesn’t require a ton of space – it can be just a chair or a stool. 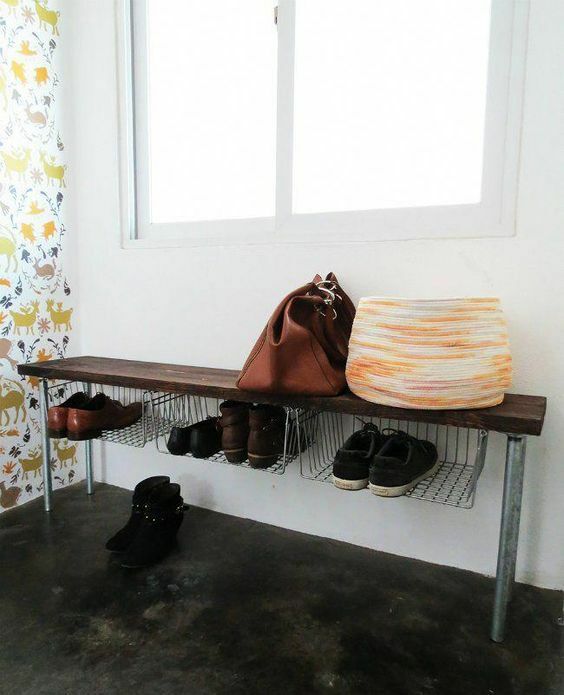 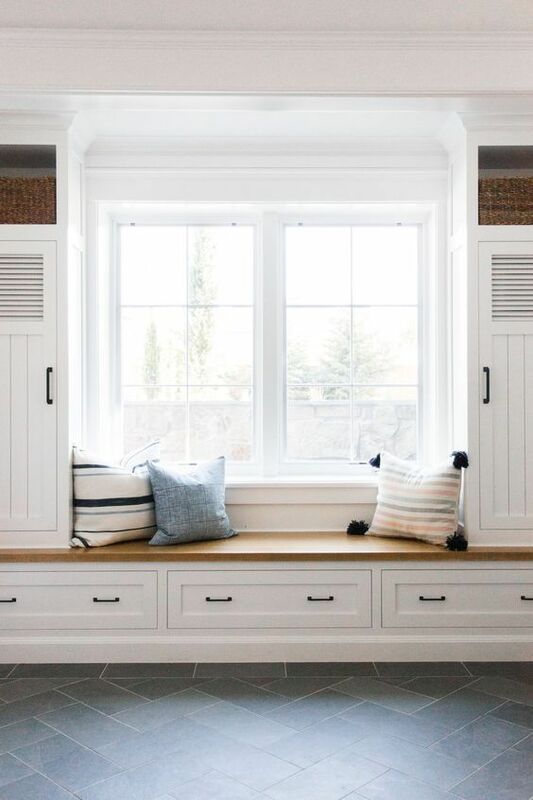 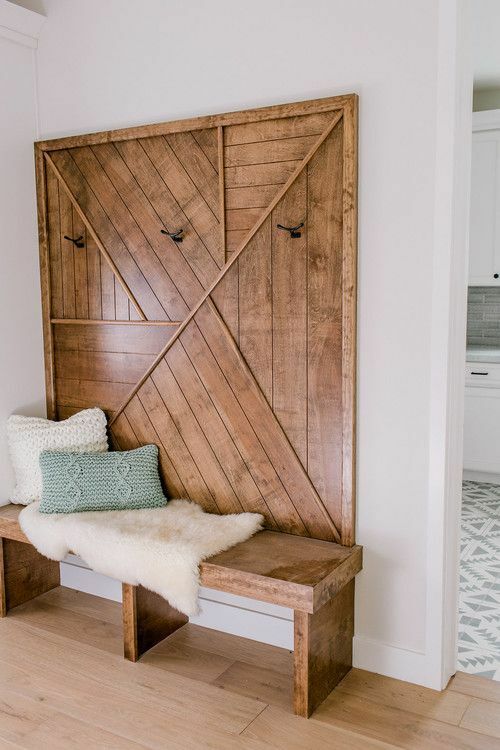 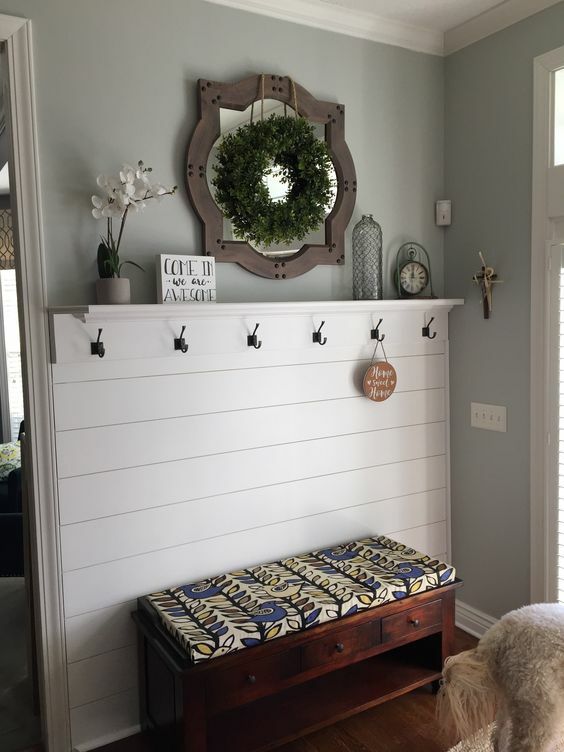 More than that, you can place a bench that will double as a storage item – it can have a hidden storage space or some shelving, if not – just add it! 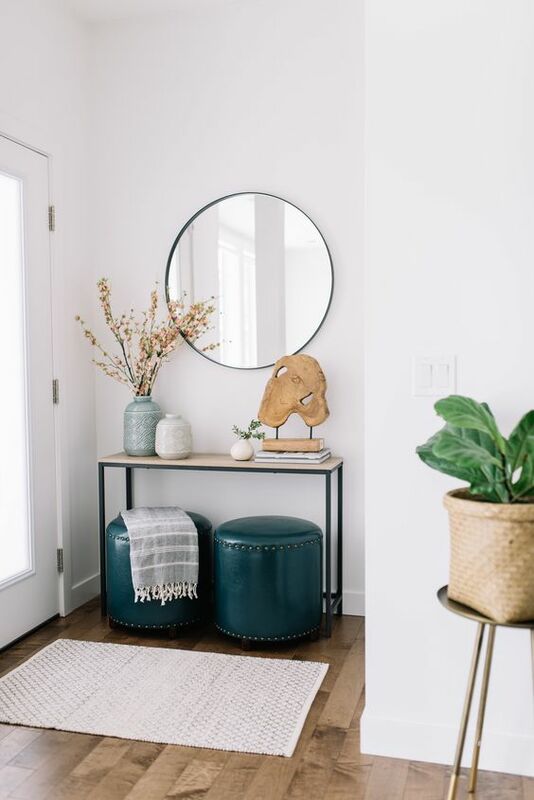 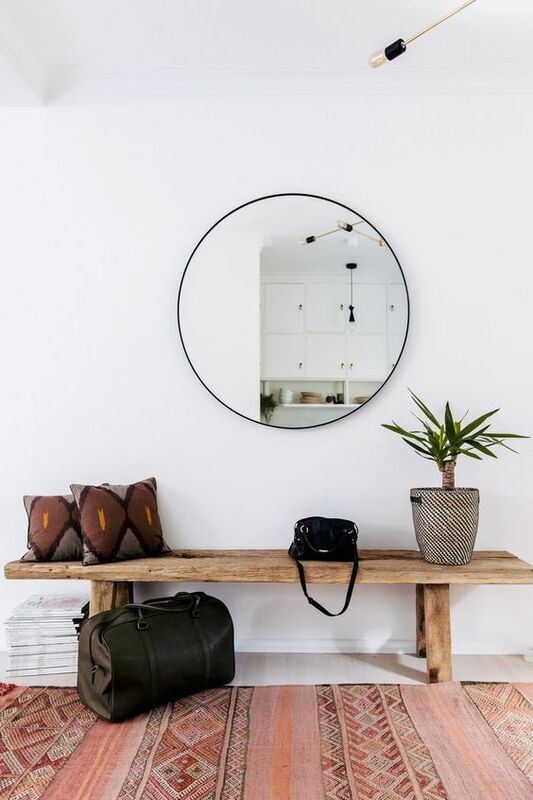 Entryways are often small, so you may think that this isn’t a place to define and show off your style, and you are wrong here. 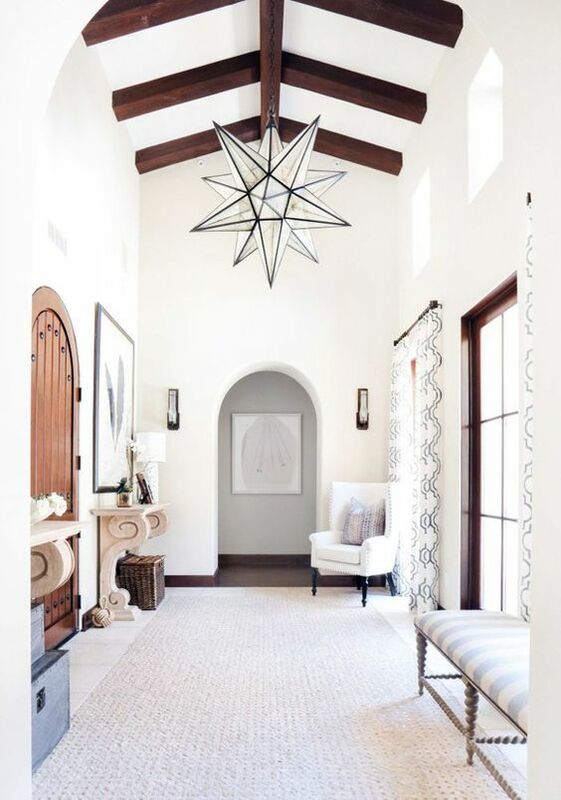 Even in a tight area, you can express your way of living and make a statement, and if we take an entryway, it can be easily done with a statement chandelier or lamp. 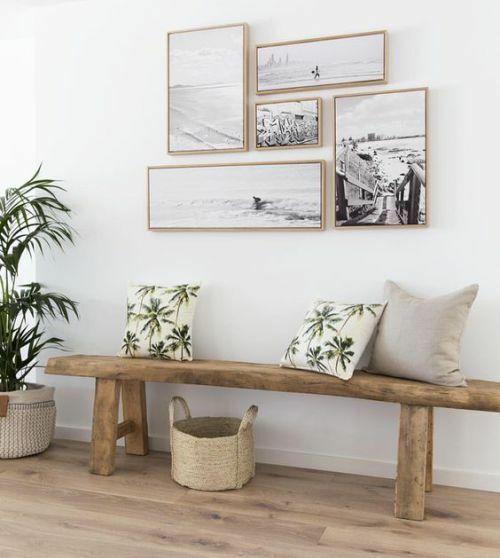 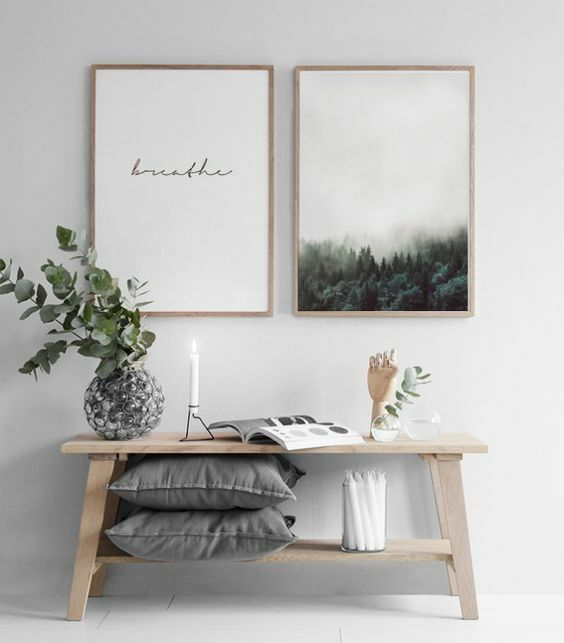 A gallery wall with your own pics or some artworks is also a gorgeous idea. 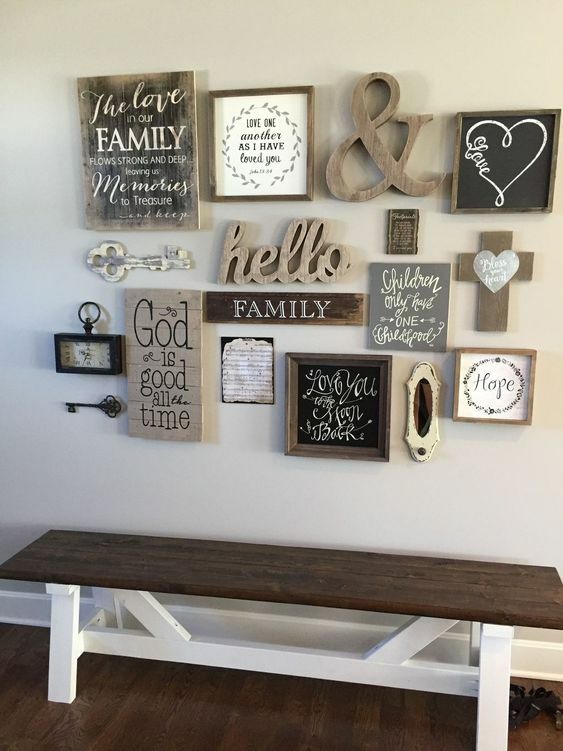 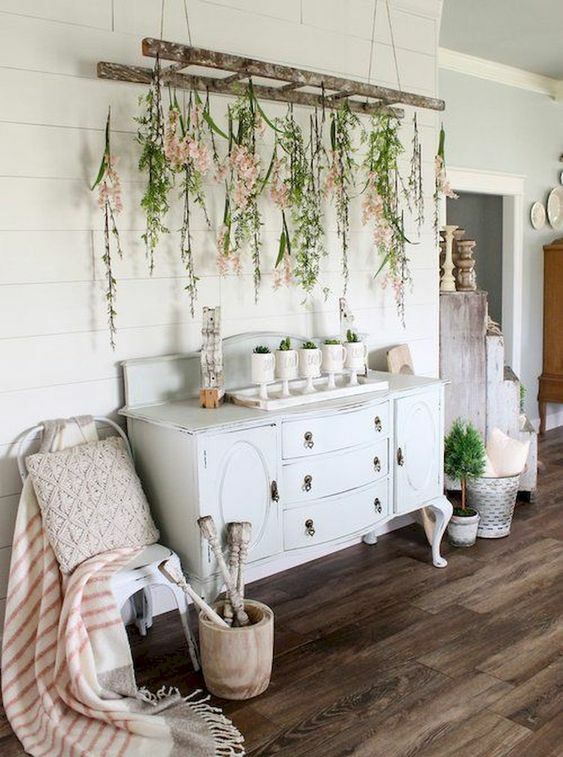 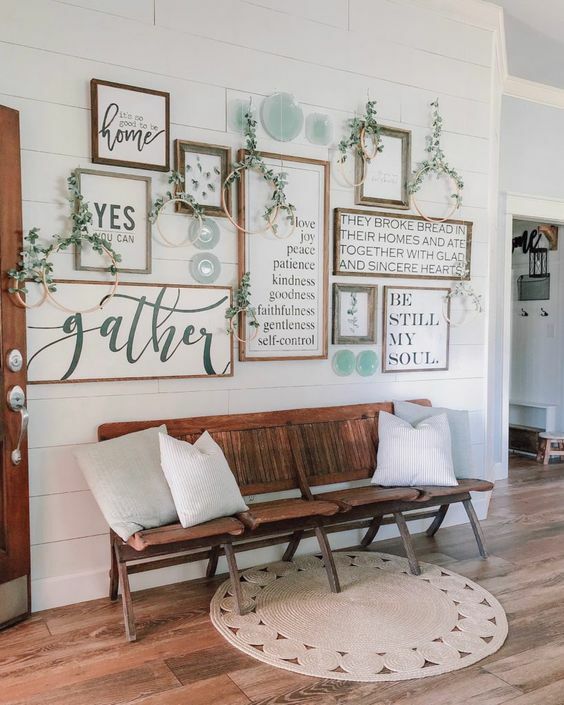 Various shadow boxes, mementos, wall decor of any kind is right what you need – they will add interest to the entryway while saving the floor space. 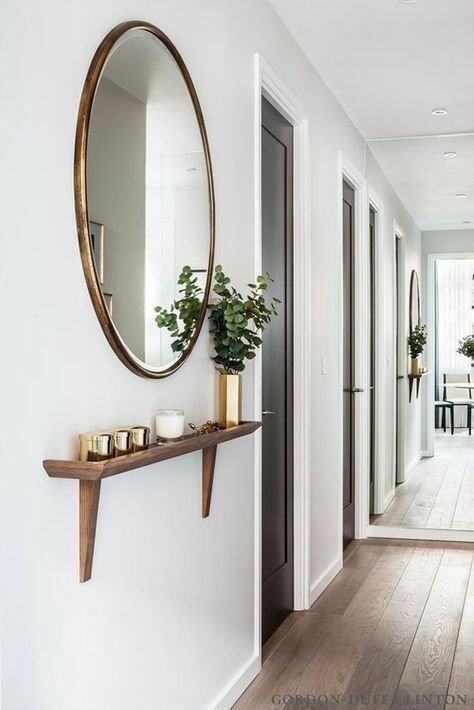 don’t forget the mirrors! 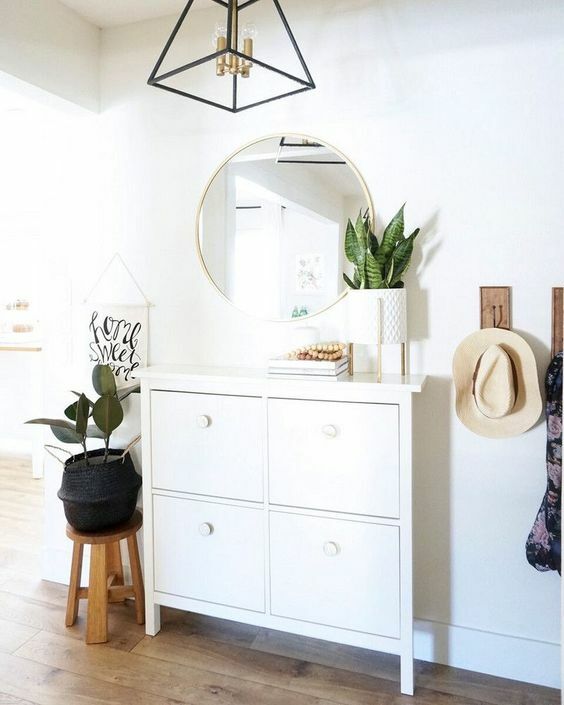 They are nice decorations with plenty of functionality: by angling a mirror directly across the source of light, you can essentially double down on whatever natural brightness you have to make your entry feel larger and airier. 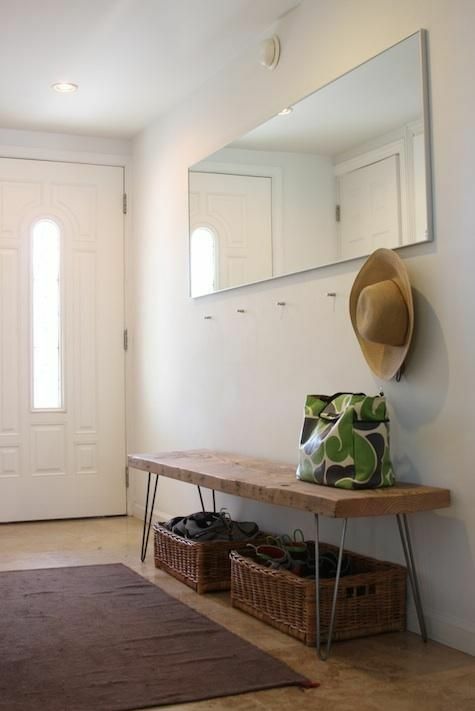 Make sure that your entryway leaves a right impression and people who come here will feel comfortable. 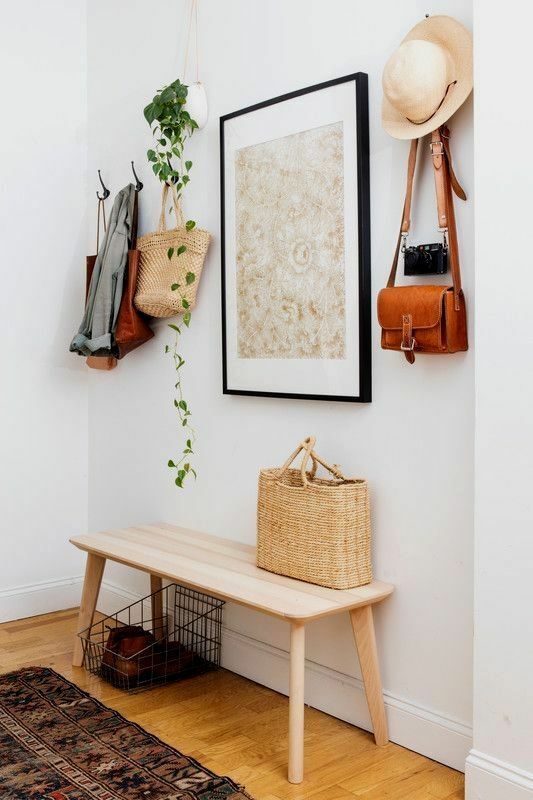 Place some coat hangers and holders, add essential oils or aroma candles if there’s a place for them. 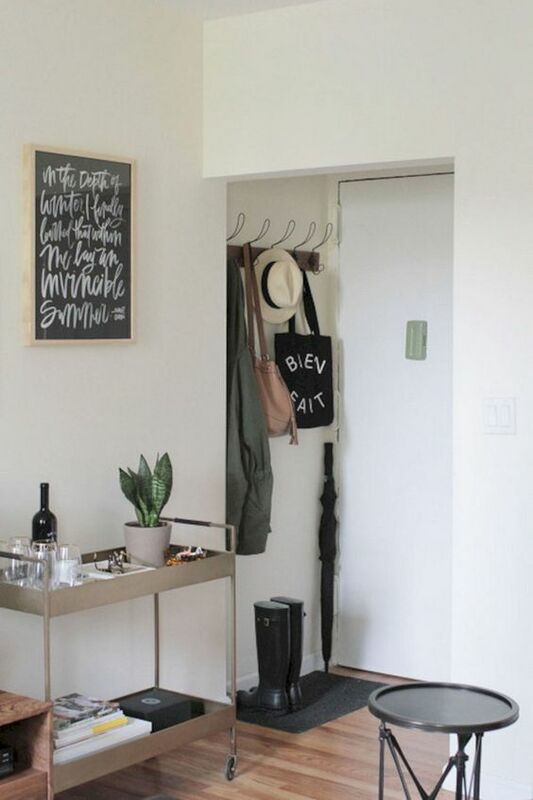 Keeping necessities like phone chargers, ice scrapers and umbrellas at the ready means you always have what visitors need on hand.